Pitman's Izzy Tubera was in control at the Rumble In The Jungle. 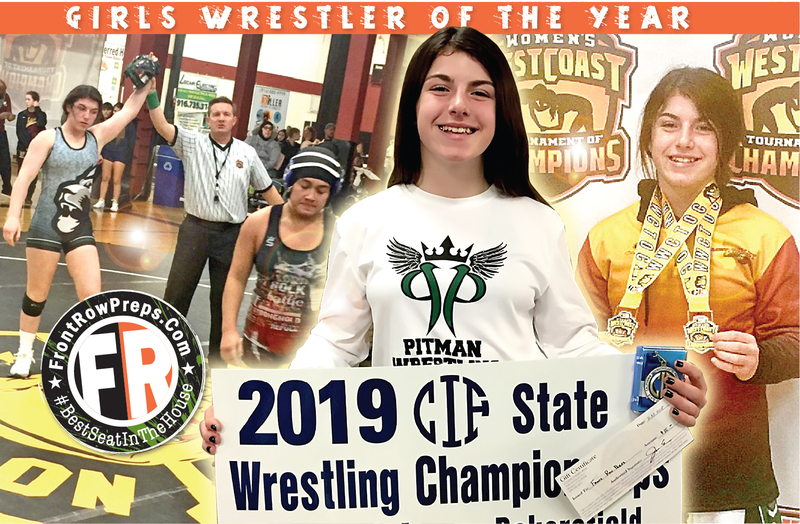 The Pitman High wrestling program has built, step by step, over the years under coach Adam Vasconcellos. 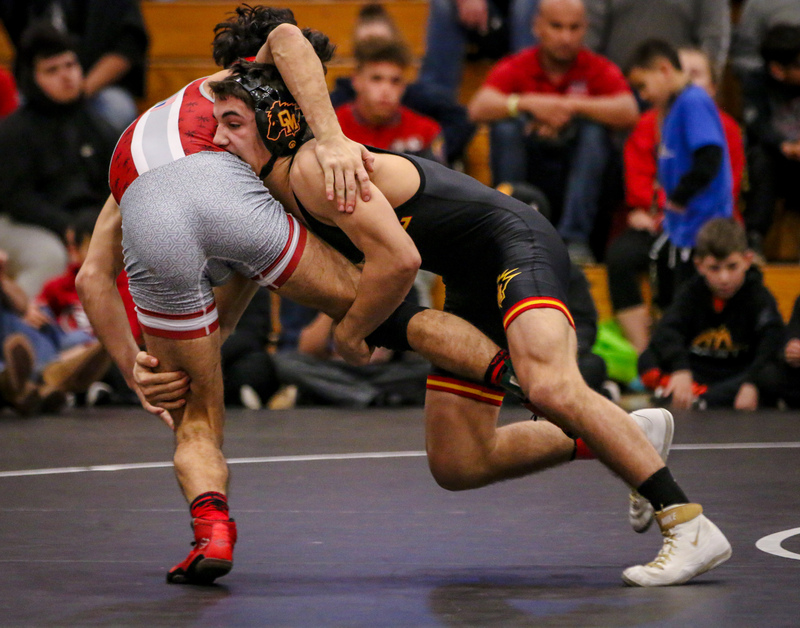 That process reached a milestone this season as the host Pride, slotting wrestlers into the finals in all 14 weight classes, edged rival Turlock 279-263 last weekend at the Central California Athletic League Championships. 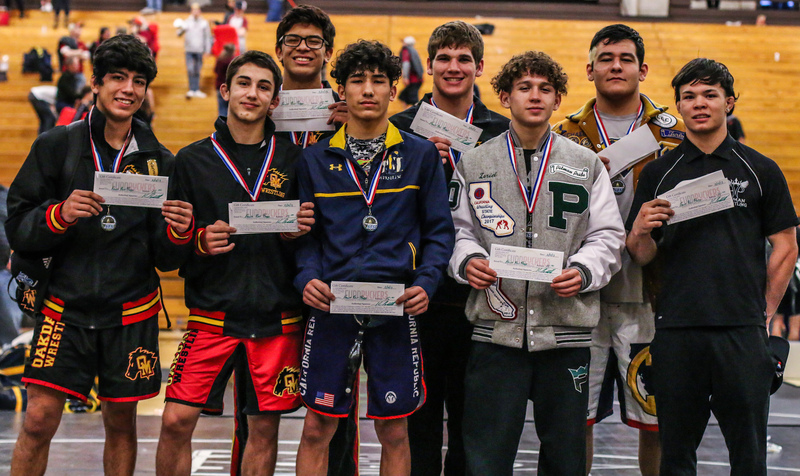 Seven Pitman wrestlers won league titles, compared to five by Turlock, in arguably the most lively of the area’s league meets. It also explains Pitman’s rise to sixth in Northern California team rankings by Ike Dodson and SportStars magazine. Oakdale is ranked third by SportStars while Turlock is ninth and Calaveras 15th. Oakdale is ranked 10th in the state by The California Wrestler. 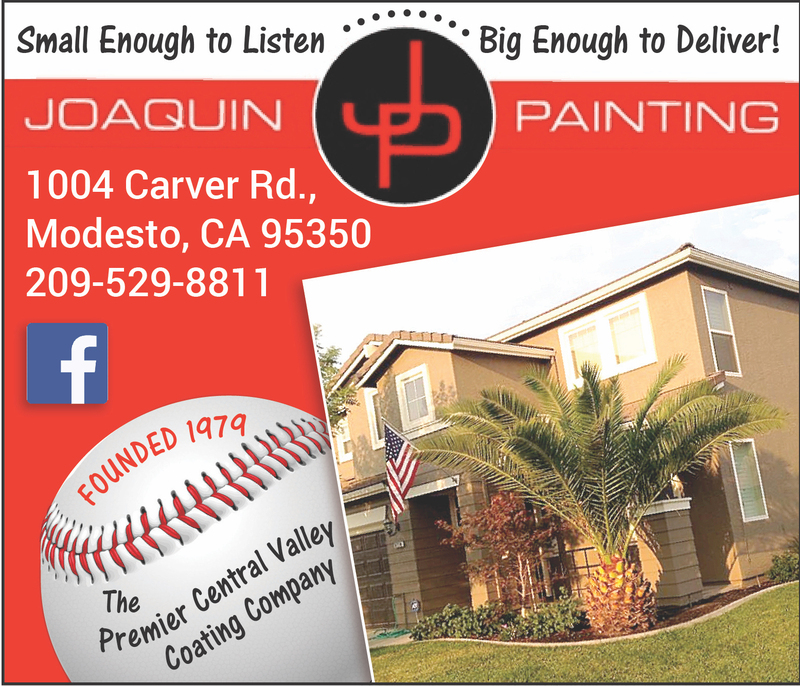 The Mustangs stopped Pitman 47-23 at the Sac-Joaquin Section Team Dual D-2 final two weeks ago. One of the most anticipated matchups last weekend was Pitman’s Izzy Tubera vs. Turlock’s William Giron in the CCAL 120-pound final. They’re both juniors and have won medals at the CIF State Championships and Section Masters. Tubera and Giron had not met this season, and the bout was worth the wait. Giron is better when he reacts to an opponent’s shots while Tubera is most comfortable on the attack. Both are tough on top, and the result was a tactical and tight collision. Tubera’s reversal early in the third round decided it 2-0. Watch for these two to meet again at the D-2 Section Regionals on Friday and Saturday at Gregori and Section Masters in two weeks at San Joaquin Delta in Stockton. 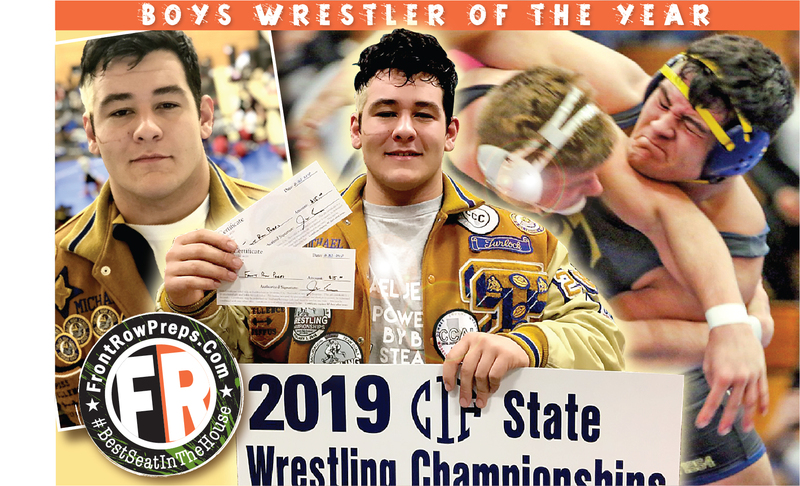 “We had two state placers in our league final (Tubera was seventh at Bakersfield at 106 two years ago and Giron was eighth last year). That was amazing,” Vasconcellos said. Compared to the competition at the CCAL, the Valley Oak League meet was a cakewalk for the host Mustangs. Oakdale has dominated the VOL for 13 straight years, accenting the last rout by winning 12 of 14 league titles last weekend. Oakdale is led by 2018 state finalists Gabe Martinez (170) and sophomore Henry Porter (132). Porter, locked in at 132 (all wrestlers committed to weight classes last weekend for the postseason), might give Oakdale a chance against favored Vacaville at Masters. Oakdale sophomore Brayden Abell (106) is ranked first in Northern California and third in the state. Tubera and Martinez both are No. 1 according to SportStars. Ranked No. 2 in NorCal are Patterson senior Noah Mirelez (132) and Turlock heavyweight Mike Jeffus. Earning No. 3 NorCal rankings were Porter, Oakdale’s Ricky Torres (138), Oakdale’s Cody Golding (182) and Calaveras’ Elliott Houghton (195). The next step is the Section Divisional meets on Friday and Saturday. The Section Girls South Division Meet will be held at Central Valley in Ceres. The top eight in each weight will advance to Masters. For the boys, the top four from nearly all league meets (the Southern Athletic League qualified three) continue to the Divisionals. The CCAL will be featured at the D-2s at Gregori (top eight advance). The Central California Conference and the VOL go to the D-3 at Atwater (top eight advance). The Western Athletic Conference joins four other leagues at the D-4s at Casa Roble (top four advance). The Trans-Valley, Mother Lode and the Southern will bus to Calaveras for the D-5 (top four advance).